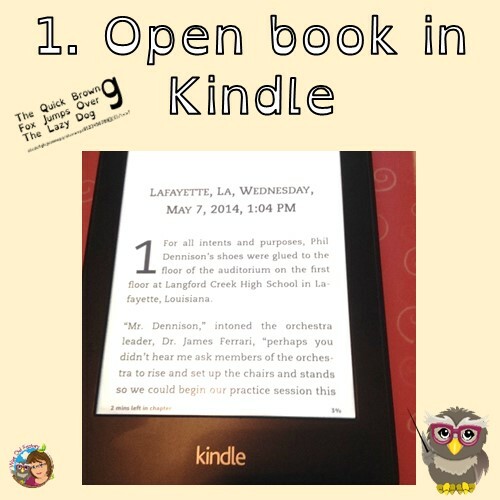 This post is about using the OpenDyslexic font for electronic devices and Kindle. Recently, I was reviewing children’s books by Theodore Jerome Cohen and noticed he has a Young Adult (YA) book written under his pen name, Alyssa Devine, that is available in paperback using the OpenDyslexic font. (A regular edition also is available in paperback and for Kindle.) I bought the regular eBook edition out of curiosity to see what the OpenDyslexic font looked like on my device. Not only did I have a fun reading on the deck in the summer sun as Kindle works in sunlight, but I learned some things about switching fonts on Kindle. I also made a small donation to buy the font for my computer. 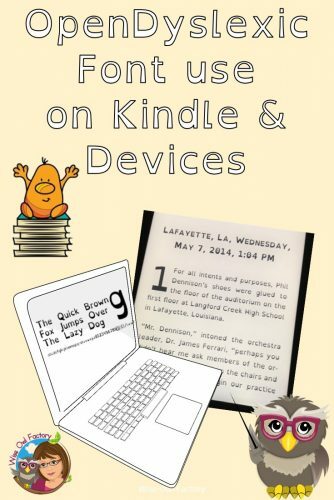 The font may be added to quite a few electronic devices, and is included on Kindles already. *Note: I bought the books and the links in this post are non-affiliate. This is an enjoyable read knowing it was YA and would probably turn out well. I bought it as one choice is to change the font on Kindle to OpenDyslexic and I was interested in seeing how that works. However, I read it in the Publisher Font (Kindle Font). Also, I have read other books by Theodore Jerome Cohen not using a pen name, so I thought it would be good — in fact, I read one of the chapters in his first short stories book and wanted to read more. As a former teacher of gifted and talented students and a parent of such children, I liked the fact the protagonists were taking advanced placement classes and were in music class together. It set the stage for them to use their talents and skills to solve the several murder mysteries in the story. They are also seniors and senior year is such a memorable experience that it was fun for that aspect. I can see reading and discussing this in secondary classes. Please note there is swearing in the book, as well as a little kissing, but it would be appropriate in secondary school classes. I read on Kindle as well as the free Kindle app on my iPad quite frequently. I admit it, and I like it better than books. Of course, I also read and have real books. For one thing, I have arthritis and holding a book for awhile makes my hands tired. Tablets are easier to hold and they only require the use of one hand at a time, so I can switch hands. I do not have to hold pages together while holding the book up. However, there are many other reasons for using Kindle, and a big one that the font is easily changed. In the case of students with Dyslexia, the font may be easily and quickly changed to OpenDyslexic in a few steps. First, open the book being read on Kindle. 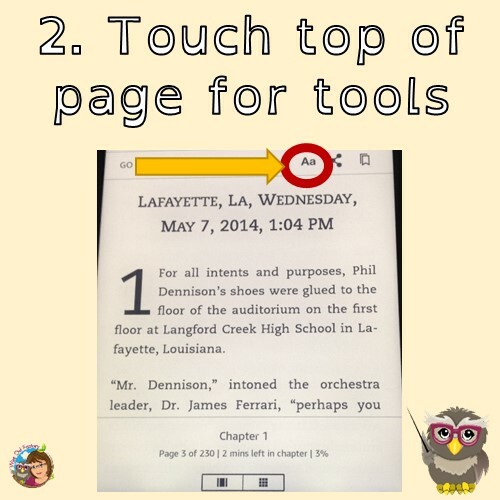 Next, touch the top of the page to get the tool bar. See the upper and lower case Aa letters? Touch the letters and a selection of fonts will appear. When the fonts menu appears, any of the available fonts may be selected. In this case, I’m picking the OpenDyslexic font. The fonts on the Kindle menu are all included in the program. Right away, the entire book text will change to the font selected such as OpenDyslexic. If you have students with suspected Dyslexia, this is one thing that could be tried prior to and with other intervention strategies. 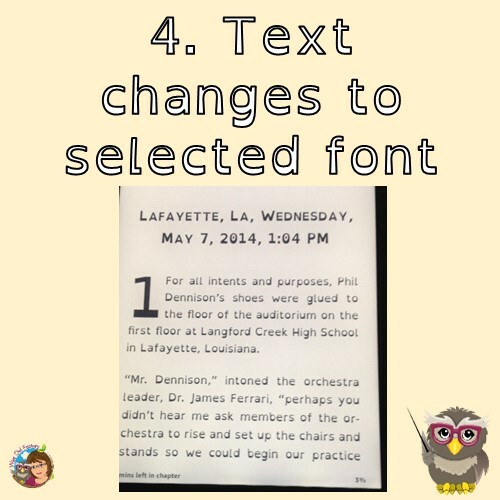 The size of fonts may also be changed, which might help other students, as well. The author Theodore Jerome Cohen also reminded me about the Pacer Center. The Pacer Center is near where I live in Minneapolis, Minnesota, as well as serving families across the nation. It helps families of children and youth with all disabilities from birth to young adults. Parents can find publications, workshops, and other resources to help make decisions about education, vocational training, employment, and other services for their children with disabilities. PACER’s National Bullying Prevention Center provides resources designed to benefit all students, including those with disabilities. I remember times where I saw programs involving puppets presented by the Pacer Center. They have a puppet in a wheelchair, for instance. They really are champions for children with disabilities!